(Dance with Me, Pre-Ballet & Ballet 1) Karin Jensen trained in classical ballet at Oakland Civic Ballet, Oakland Ballet, and Alameda School of Dance. She has performed with Berkeley City Ballet, San Jose Dance Theater, Alameda Chamber Ballet, as well as Alameda Civic Ballet in both corps and soloist roles. 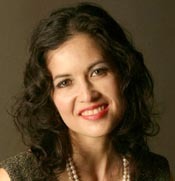 Karin is a graduate of Ballroom Dance Teacher’s College and is a staff instructor at Just Dance Ballroom in Oakland. She enjoys performing ballroom dancing for events and also performs modern liturgical dancing with Omega West Dance Company of Berkeley. As a mother of two young daughters, she loves sharing her passion for dance with children.